In today’s New York Times article, “Army Studies Workout Supplements After Deaths,” Peter Lattman and Natasha Singer write about the Defense Department’s inquiry into the safety of dimethylamylamine (also known as DMAA), a common ingredient in workout and fitness supplements sold at GNC and The Vitamin Shoppe. The ingredient has been implicated in the sudden deaths of two young soldiers, aged 22 and 32, who died of heart attacks while exercising. The Army’s safety review is currently underway, but the Defense Department has already removed all products containing dimethylamylamine from stores on military bases. I admire the Army’s swift action. When civilians question the safety of a product, their concerns are followed by debates, petitions for recall, paperwork, studies, lawsuits, and — if all goes well — eventually, action. Military bases are a different story; the military has long functioned as more of a bureaucratic establishment. The military does not live and breathe by funding from pharmaceutical companies and food manufacturers, much like so many of our elected officials. When the Army bans an ingredient from its military bases, the public should take note. In addition to the untimely deaths of the two soldiers — whose toxicology reports both noted the presence of DMAA — the army had also received “reports of liver and kidney failures, seizures, loss of consciousness and rapid heartbeat in other military personnel who have used products containing DMAA,” according to the article. 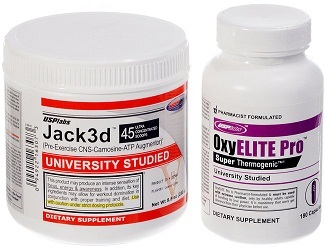 USPLabs, the maker of DMAA, compared the effects to those of caffeine. If the effects of DMAA are like those of caffeine, then why are fitness buffs and the manufacturers of fitness supplements choosing DMAA over caffeine? Here’s why: Because the effects of DMAA are more like those of methamphetamine. DMAA was first developed my pharmaceutical company Eli Lilly. When doctors noted that its effects were amphetamine-like — and medical literature reported that its effects were more powerful than heart-stopping ephedrine — Eli Lilly stopped marketing it as a pharmaceutical, and DMAA quietly resurfaced as a dietary supplement. Let’s examine what went wrong here. Does this mean that all dietary supplements are harmful? Absolutely not. What this means is that you must research the safety of your dietary supplements on you own — because our government is not doing it for you. The onus to research dietary supplements falls on you. In the United States, the fact that you can legally purchase a substance labeled as a “dietary supplement” has absolutely nothing to do with its safety. Avoid the following products: Jack3d (USP Labs), Lipo-6-Black and Hemo-Rage Black (Nutrex), Spriodex (Gaspari Nutrition), F-10 (Advanced Genetics), Clear Shot (E-Pharm), 1.M.R. (BPI Sports), and many others. Avoid products with names or marketing performance terms such as “stacked,” “muscle,” “mass,” “tren,” “bol,” “anabolic steroid,” “legal steroid,” “power,” “blast,” “energy,” “stimulant,” and others. If you must supplement your workout, keep it simple: Drink a cup of coffee. Since we know the human body responds differently to extracts than to ingredients in their natural form, avoid caffeine-containing supplements as well. Better yet, let the workout itself raise your heart rate, and skip the stimulants altogether. Your only have one heart; your next fitness shake, drink, pill, or supplement, could be your last. Still unconvinced? Visit Supplement Safety Now. Author WEPosted on February 4, 2012 April 29, 2013 Categories Breaking Health News, FitnessTags army, dietary supplement, Dietary Supplement Health and Education Act, dietary supplement side effects, dimethylamylamine, dmaa, DSHEA, FDA, fitness supplement, GNC, stevia, Vitamin Shoppe, workout supplementLeave a comment on What’s In Your Fitness Supplement?